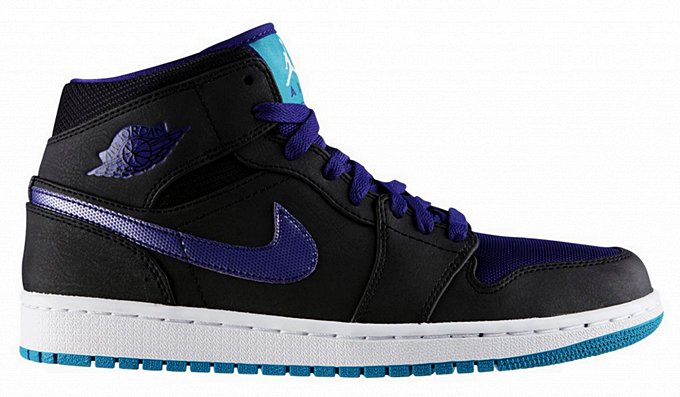 One more colorway of the Air Jordan 1 Mid is making noise in the market after being released in a popular colorway. This iteration of the first ever Air Jordan kick is now available in Grape edition or what is officially known as the Black/Black-Grape Ice-New Emerald colorway of the kick. The silhouette features a black upper with grape and emerald hints on the toe, tongue, shoe laces, branding, and outsole of the kick. This popular kick can be yours for just $105 so make sure to grab your own pair immediately while supplies last.